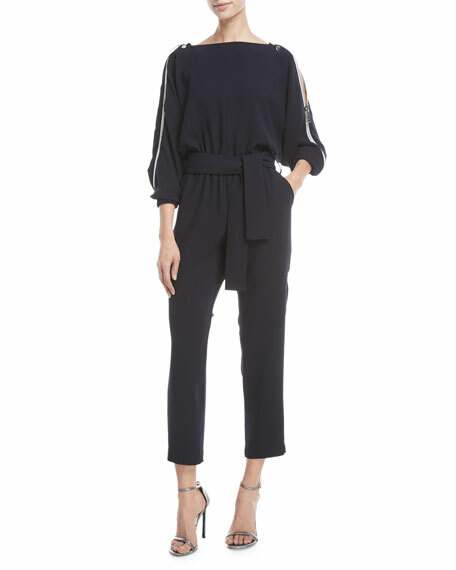 Carolina Ritzler "Carole" crepe jumpsuit with zipper shoulder detail. Carolina Ritzler was created for complex personalities that are bold and free - the personalities of today's women. But we also love the legacies left by the courageous women of the past, and the audacity of the women of tomorrow. 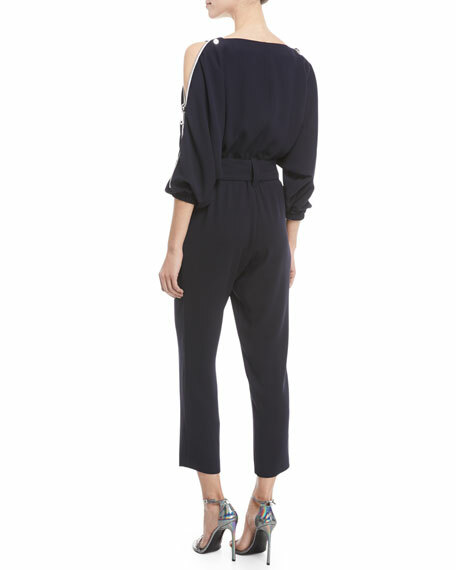 The brand's staple piece and the pillar of each collection, the jumpsuit is the designer's prized form of self-expression. All production for the Carolina Ritzler label is done entirely in Paris. For in-store inquiries, use sku #2524805.